Bring some glamorous color into this year's Christmas decorations. 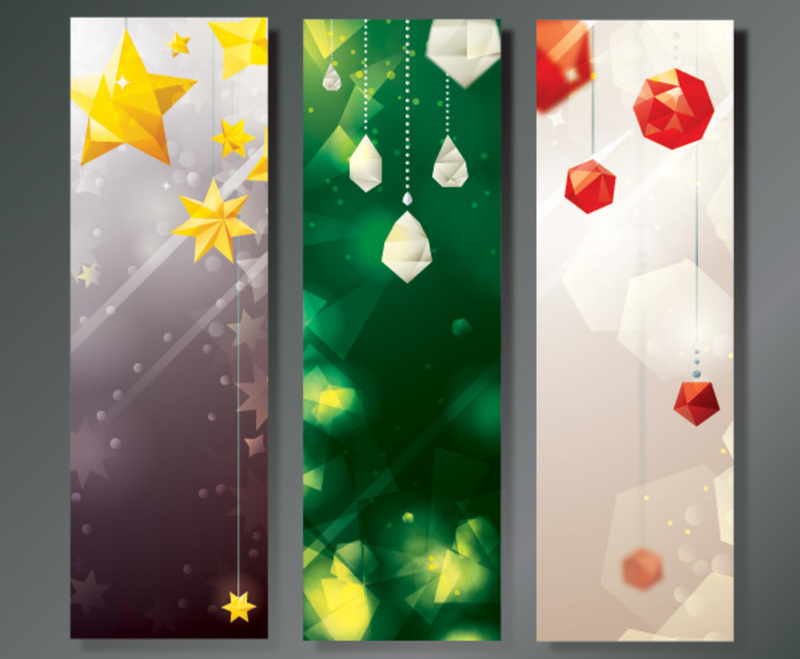 Each of these banners features a bright pair of seasonal colors along with a shining background filled with geometric shapes. Crystals and stars hang from the top of each frame for an elegant effect. There's also plenty of neutral space, and you can easily add graphics, shapes, or text without overwhelming the festive elements of this graphic. These are excellent banners for celebrating any winter holiday. They're light and fun, but with an attractive modern look that cleverly references the traditional colors and images of the season.